Staff members of the Institute of Science and Technology (IOST) at Tribhuvan University and affiliated campuses joined a training programme on local innovation and farmer-led joint research, thanks to funding from the Dutch Ministry of Foreign Affairs and Nuffic (Dutch organisation for internationalisation of higher education). The training began with a 6-day residential workshop in March 2017 conducted in Nagarkot by Chesha Wettasinha of the Prolinnova International Secretariat at the Royal Tropical Institute (KIT) and Basanta Rana Bhat of Ecoscentre in Nepal, with support from Dharma Dangol (IOST) and Suman Manandhar (UNDP) as resource persons. The training included visits to three peri-urban farmer innovators near Kathmandu involved in rooftop gardening, mushroom growing and nursery management. The trainees were highly impressed by the creativity of the farmer innovators. In collaboration with Vicente Zefanias, Romualdo Rutazihana conducted a two-day refresher course in November 2017 for more than 20 participants from Prolinnova-Mozambique partner organisations. A third day was set aside for elections: one focal point was elected for each of the three provinces where the network is operating (Maputo, Gaza & Inhambane). The workshop participants asked Romualdo to take the chair of the National Steering Committee, as he has been with Prolinnova-Mozambique from the outset and has the longest institutional memory. During the same meeting, the network reviewed the new catalogue of local innovations to be published in December 2017. On 4 November 2017, upon the invitation of Max Olupot (AFAAS), Brigid Letty (a member of Prolinnova-South Africa and a member of the Prolinnova taskforce for the Eastern and Southern Africa Sub-region) attended an event that was a joint initiative of GFRAS (Global Forum for Rural Advisory Services) and AFAAS (African Forum for Agricultural Advisory Services). It was a side event of the Joint Conference comprising the 3rd AFAAS Africa-wide Agricultural Extension Week and the 51st Annual Conference of the South African Society for Agricultural Extension. The overall progress report on Year 1 of the Proli-FaNS (Promoting local innovation in Food and Nutrition Security) project funded through Misereor covers the period from 1 August 2016 to 31 July 2017. It shows how Prolinnova partners in Burkina Faso, Cameroon, Ethiopia, Ghana and Kenya have been enhancing the innovative capacities of rural communities to improve food security, nutrition security and nutrition diversity. 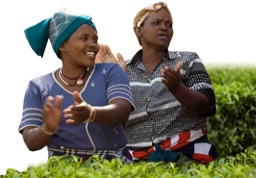 The project focuses on recognising and working with women innovators in farmer-led research and development. The Year 1 report prepared by ACDEP, the NGO in northern Kenya that coordinates the multi-CP project, is available in English and French. The Country Platform of Profeis-Mali has been funded by Misereor to implement a fourth 3-year phase starting 1 March 2017. The key objectives of this fourth phase are (a) to spread farmer innovations, (b) to institutionalise the Participatory Innovation Development (PID) approach, and (c) to optimise farmer innovations through PID. Le programme Profeis-Mali vient d’obtenir de Misereor un financement pour une quatrième phase de trois années d’activités qui ont débuté le 1er mars 2017. La quatrième phase du programme Profeis-Mali repose essentiellement sur trois objectifs clés, à savoir : (a) la diffusion d’innovations paysannes pertinentes; (b) l’institutionnalisation de l’approche Développement Participatif de l'Innovation (DPI); et (c) l’optimisation des innovations paysannes. Georges Djohy, Prolinnova Subregional Coordinator for West & Central Africa (WCA), was selected by the Global Forum on Agricultural Research (GFAR) to take part in the training course on communication strategies through social media to be held on 5–13 October in Rome. This training, offered by GFAR and FAO, also gives him the opportunity to cover the 44th session of the Committee on World Food Security (CFS44) on 9–13 October. The use of social media is becoming increasingly important in Prolinnova’s strategy to disseminate and scale up our network's achievements and to stimulate policy dialogue about the role of small-scale farmers in agricultural research and innovation. On 3 September 2017, a Farmer Innovation Fair was held at the Youth Association for Rural Development (YARD) offices in Ngogwe Sub-County in Buikwe District of Uganda. It was supported by HORIZONT3000, the Austrian Organization for Development Cooperation, under the auspices of their programme on “Enabling Rural Innovation (ERI) East Africa Project” in Uganda and Tanzania. The briefing note on the Fair includes information about YARD, HORIZONT3000, Environmental Alert and Prolinnova–Uganda and lists the 26 farmer groups that exhibited their innovations. The mid-year progress report of the Promoting local innovation for Food and Nutrition Security” (Proli-FaNS) project up to July 2017 gives an overview of activities accomplished by the five Country Platforms involved – in Burkina Faso, Cameroon, Ethiopia, Ghana and Kenya. 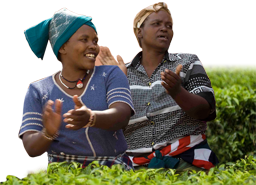 These include preparations for farmer-led research, advocacy and documentation activities, and the work of the two new subregional coordinators in Western & Central Africa and in Eastern & Southern Africa to strengthen South–South learning and collaboration. Proli-FaNS is funded by Misereor/Katholische Zentralstelle e.V. (Catholic Central Agency for Development Aid – KZE, Germany) through a grant from the “One World No Hunger” (SEWOH) initiative of the German Federal Ministry for Economic Cooperation and Development (BMZ).